In The Places in Between Rory Stewart walked some of the most dangerous borderlands in the world. Now he travels with his eighty-nine-year-old father—a comical, wily, courageous, and infuriating former British intelligence officer—along the border they call home. On Stewart’s four-hundred-mile walk across a magnificent natural landscape, he sleeps on mountain ridges and in housing projects, in hostels and farmhouses. With every fresh encounter—from an Afghanistan veteran based on Hadrian’s Wall to a shepherd who still counts his flock in sixth-century words—Stewart uncovers more about the forgotten peoples and languages of a vanished country, now crushed between England and Scotland. Stewart and his father are drawn into unsettling reflections on landscape, their parallel careers in the bygone British Empire and Iraq, and the past, present, and uncertain future of the United Kingdom. And as the end approaches, the elder Stewart’s stubborn charm transforms this chronicle of nations into a fierce, exuberant encounter between a father and a son. This is a profound reflection on family, landscape, and history by a powerful and original writer. 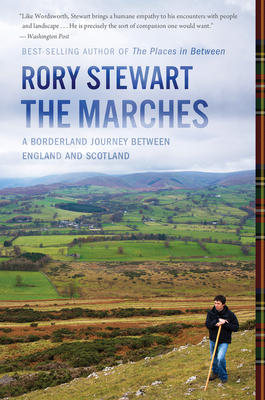 RORY STEWART is the best-selling author of The Places in Between and The Prince of the Marshes. A former director of the Carr Centre for Human Rights Policy and Ryan Professor of Human Rights at Harvard's Kennedy School of Government, he was awarded the Order of the British Empire for services in Iraq. He is the Conservative member of Parliament for Penrith and The Border, a constituency in Northern Cumbria, where he lives with his wife.